Five fruits/food surprisedly good for you. ~ CK Jacob: Nigerian Fiction And Lifestyle Blog. We know butter is the sin of all sins when it comes to healthy foods, but what we learned shocked us! 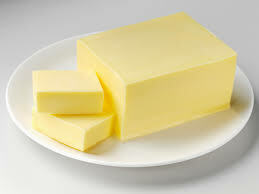 Butter is rich in fat-soluble vitamins and fatty acids. These are surprisingly good health benefits, so don’t be too scared of real butter. We love carbs! We’ve been taught that bread is the devil, however a good whole wheat bread is packed with a bunch of overlooked nutrients. Some of these benefits include protein, fiber, B vitamins, and antioxidants. So next time you’re feeling the craving for bread, reach for the whole wheat stuff and it’ll actually be good for you! I totally like the paragraph about butter, I think the real butter is so overlooked in today world. I would never switch my homemade butter for margarine.